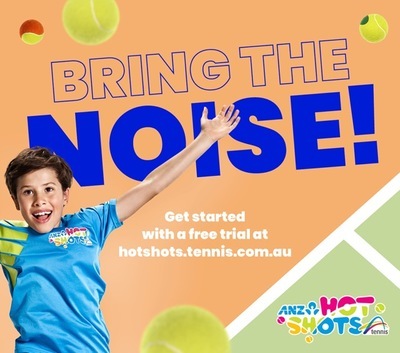 Tennis Australia has launched a new campaign for its ANZ Tennis Hot Shots program that encourages kids to get involved in the sport. The campaign, by creative agency Hardhat, smashes some of the preconceived notions about tennis by illustrating a fun world of teamwork, play, friendships and learning. Tennis Australia head of marketing Jo Juler said the campaign builds on its 2018 success with a 41% increase in participation year-on-year. "We were thrilled to have a campaign that reflected not only the energetic and social benefits of the program but also the inclusivity and undeniable fun," Juler said. Dan Monheit, co-founder and strategy director, Hardhat said: "The ANZ Tennis Hot Shots program does so much for the kids who participate in terms of building skills and confidence - which is exactly what parents expect. What was amazing, and if we're honest, a little surprising, was the level of pure fun and excitement we experienced in the sessions we visited - which is precisely what we've set out to convey." The campaign is one of the first major projects Hardhat has worked on with Tennis Australia. Titled 'Noise, please! 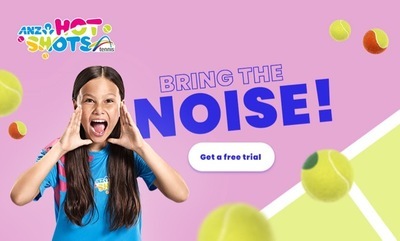 ', the campaign will be seen across radio, print and digital during the summer tennis season, raising awareness of Tennis Australia's coaching sessions for kids aged five to 12.